Disneyland is often called "The Happiest Place on Earth" and it just might be, but the cost of that dreamed-of family trip to Disneyland may seem more like a nightmare. To enjoy your trip without breaking the budget, these tips can save hundreds of dollars on your visit. This summary of Disneyland ticket discounts can save you a little money, but the easiest way to lower the ticket cost is to spend fewer days in the parks. 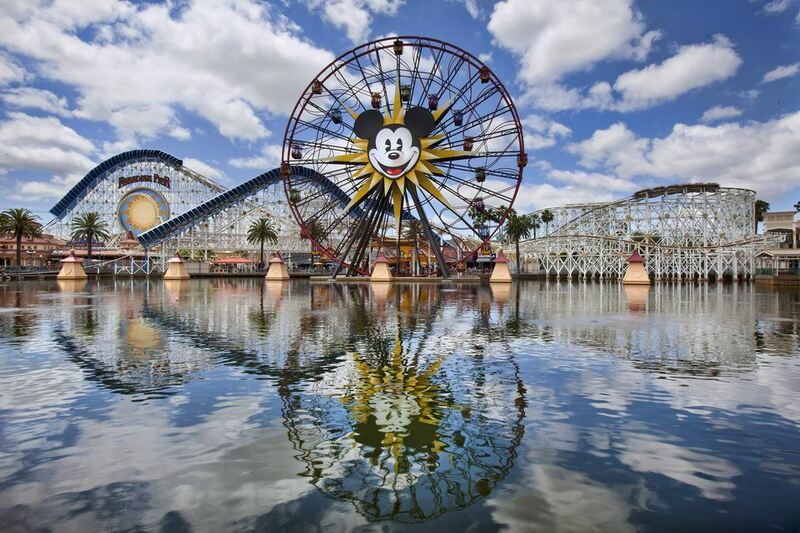 Disneyland and Disney California Adventure can be visited in one day each, especially if you cut wait times with Ridemax. Get three-day, one park/one day tickets (the least expensive option), spend one day in each park and go back to the one you liked best for the third day. A family of four, with one child older than 9 (the age Disneyland starts charging them adult admission) could save $100 by buying tickets for three days instead of five. If you are an AAA or AARP member or in the U.S. military, you probably know that hotels offer special discounts for you, but what you may not know is that there are often better deals available elsewhere. Try our tips for finding hotels near Disneyland. If you think you need more than two hotel rooms, consider a two-room suite in an all-suites hotel which are listed in the Disneyland Hotel Guide. You'll get more privacy than cramming everyone into a standard hotel room, and you may be able to reserve just one room instead of two. Some hotels also offer rooms that can accommodate more than just 3 or 4. We did the research for you and made a list of Disneyland hotels with larger rooms — which you can find in the Disneyland Hotel Guide. Simply choosing the hotel with the lowest daily rate can be a costly mistake. Parking fees, resort fees, WiFi fees and fitness center fees will increase your total bill, while free breakfasts and any other things such as discount tickets can lower it. They're all included in the Disneyland Hotel Profiles. How many days will you stay? Three days is enough, but according to our reader poll (below), many visitors stay only one or two days. Are your travel dates flexible? If they are, you may be able to save money on your airfare by traveling a day or two earlier or later than you originally planned. The downside here is that this kind of research can take a long time. Are you planning to visit other attractions or go other places besides the Disney Resort? Your answer will help determine whether or not you need a rental car, and for how many days. Do you really need a rental car? If the Disneyland Resort is your only destination, find a hotel that has a Disneyland shuttle, a hotel on the Anaheim Trolley route or a hotel within walking distance of Disneyland. Take a shuttle from the airport instead of renting a car and save $30 to $40 or more a day total. If your hotel also has an airport shuttle, you can save even more. Try some of the online booking services for discount airfares, such as Hotwire or Priceline. Check the Disneyland website for special "kids fly free" and other promotions. Check airfares for John Wayne Airport (Orange County), Los Angeles International Airport and Burbank. Be sure to include other costs when comparing them, such as shuttle fees or car rental rates. There's no point in saving $50 on airfare and spending an extra $75 on transportation. You can also save money on parking by using an app. Using Spot Hero, you can reserve a parking space at a local hotel for less than you would pay for the official Disney parking lots. And some of the places are close enough to walk to the gate, eliminating the long bus ride you’d otherwise have to take. Bring a picnic lunch. Disneyland won't let you bring outside food into the park, but they have lockers just outside the gates where you can stow a small cooler. Or go back to your hotel for a rest and eat in your room. Choose a hotel that includes free breakfast in their rate (making sure that the total cost of hotel and breakfast is lower that way), or eat fruit and granola bars in your room. A family of four could save about $100 in meal costs over three days if they stayed in a hotel with complimentary breakfast and taking a picnic lunch.